Tired of the same old holiday humdrum? Like having to spend yet another year hosting your entire family? Or, frantically making a grocery store run because your spouse forgot to pick up the cookies so your kids can set them out for Santa? Well, lucky for you, we’ve got four very good reasons to get away from home and explore these east coast destinations with the family this winter. It’s time to bring on the holiday spirit! Ready to feel like a kid on Christmas morning again? 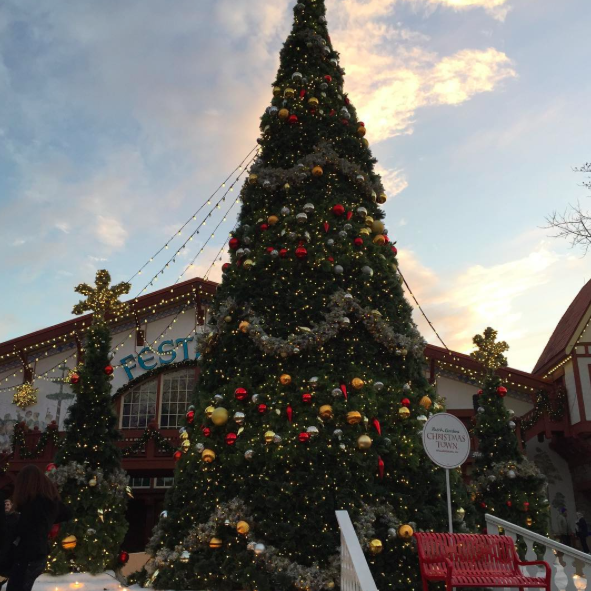 Busch Gardens’ Christmas Town will truly transport you into a magical winter wonderland. So, go ahead and bundle up in your hats, gloves, and scarves and plan to come at night so you can check out the more than 8 million lights. Thus, explaining why this destination is known as the largest Christmas light display in North America. You’ll also get to set your sights on holiday-themed shows along with the park’s wide array of roller coasters and thrilling rides. Best of all, each “country” in the park transforms into a different winteresque theme. My personal favorite? The vintage charm of Little Italy—complete with the big colored light bulbs and spray snow, which takes me back to my 1970s childhood. And, the grownups in your group will without a doubt appreciate warming up with the specialty Hotty Toddys and grown up coffees offered throughout the park. But, if you’re going to do that, be prepared to splurge on getting the kids their signature drink, too! The kid’s cocoa with giant marshmallows served up in an adorable Busch Gardens-themed mug is without a doubt a must-have. Insider Tip: taking the sky tram will truly give you a breathtaking point of view to help you really take it all in. This is also a great way to make the trek to the North Pole to visit what very well might be the real Mr. and Mrs. Claus. This sculpture garden, which was originally designed in 1931, is now home to a zoo, medieval-style labyrinth, palmetto garden named for its use of South Carolina’s Sabal Palm, and the Live Oak Garden with 300-year-old Live Oak trees. All of that is just a taste of the garden treasures in this 9,100-acre property. And, that explains why you’ll find yourself amazed at every turn. In a full day, I was only able to see a portion of the grounds, which gives you a good excuse to come back and see something new! Yes, that includes the seasonal family exhibits and events. But, the holiday favorite is Nights of a Thousand Candles. 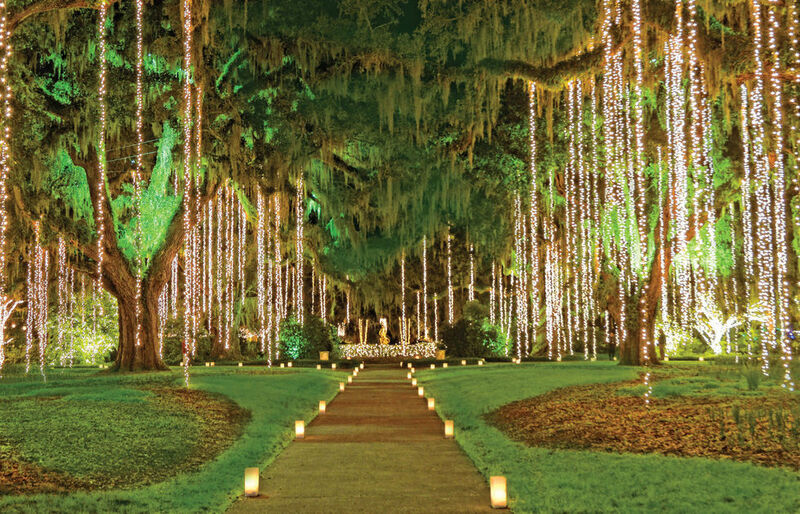 On select nights, starting the end of November, the gardens feature 5,500 hand-lit candles, miles of sparkling lights, hot cider, and holiday music. Plus, at the center of it all is the 80-foot-tall fir tree lit up in ceremonial splendor at 5:45 p.m. each night. ICE at the Gaylord–Washington, D.C. The Gaylord, located in National Harbor’s waterfront center, transforms itself once the holiday season rolls around with more than 5,000 blocks of ice weighing 2 million pounds. It truly is a creative masterpiece crafted by 40 master ice carvers who come from China to carefully carve each magnificent part of the holiday scene. And, each year a theme is chosen—this year being Rudolph the Red-Nosed Reindeer. With all that ice, however, you might be wondering how you’ll ever stay warm and comfortable while visiting. Well, luckily, guests are given giant parkas to wear through the indoor interactive exhibit. But, trust me, you’ll want to bring along your own hats, gloves, and scarves as well. 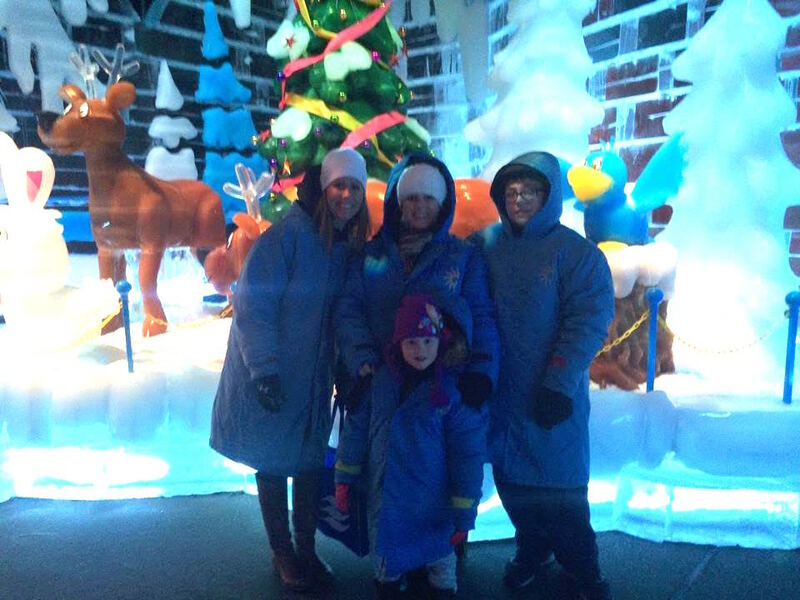 In the end, ICE at the Gaylord is definitely a must-visit east coast hotspot in the wintertime! The detail and the artistry will blow your mind and get you absolutely overwhelmed with holiday spirit. Disclaimer: do this, but do it early. Crowds get downright crazy Christmas week. We’ve literally seen the park close at 11 a.m. for maximum occupancy on Christmas Day. Yet, no need to worry because the Very Merry Christmas Party starts early November! The decorations on Main Street will instantly connect you with your inner child. Personally, I squealed! In true Disney fashion, holiday touches are everywhere and the holiday parade is the perfect way to end the day. It’s Disney—only more magical if you can imagine that. So, there you have it. We did all the hard work for you—narrowing down our favorites to the four spectacular east coast destinations for a winter wonderland extravaganza the entire family can enjoy. Now, there’s no excuse to have a humdrum holiday experience again! And, if you’re ready to get a move on and book your getaway to one of these hotspots ASAP, call us to speak with one of our friendly Resort Specialists at 1-888-816-5214. We’ll help you get it before it’s gone! Have questions or other east coast holiday hotspots to add to this list? We want to hear from you! Just drop us a comment in the box below. 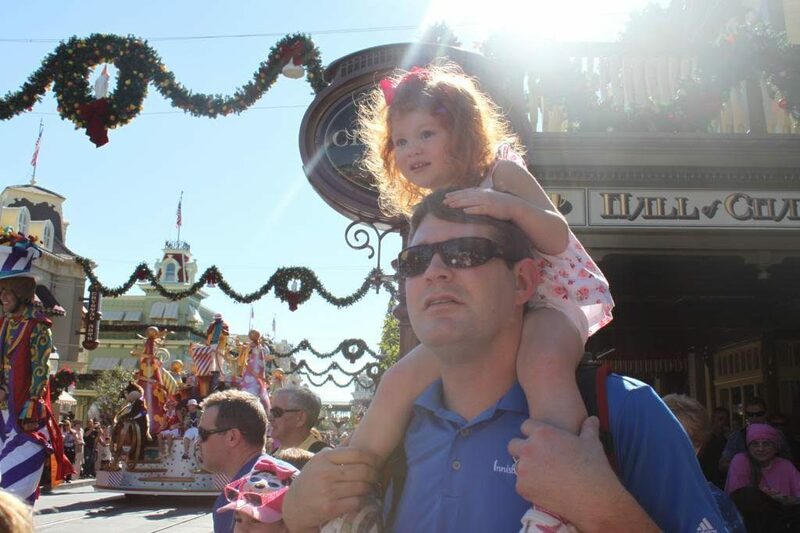 Want help booking a family vacation? That's what we do! Our Resort Specialists will match you with the best suite deals your hard-earned money can buy at family-friendly resorts across the country - all at no cost to you! Let Us Save You Time and Money. Fill out the information below and we'll send you a quote on the best suite deal for your next vacation. 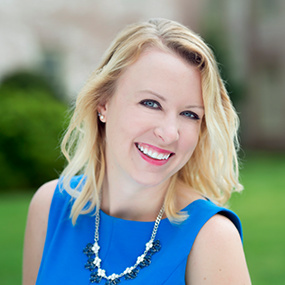 Your penny-pinching, deal-loving, kid-friendly destination-scouting mama who's all about giving you the inside scoop on family travel that doesn't cost a fortune. Just consider her our official mascot. Did Someone Say “Kids Eat FREE”? 16 Restaurants That Will Save Your Family Money.